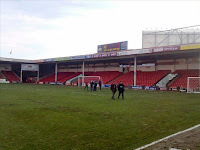 I have to ask why officials at Walsall announced that they felt confident this morning that the game would go ahead and why if the pitch was unsafe at 9.30am, then how was it expected to be any better just over two hours later. 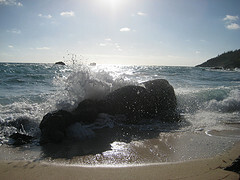 By that time of course nearly all Addicks except one or two that live locally would have started their journey. Charlton fans arriving at Walsall's frozen ground have the choice of watching a game at Villa Park, The Walkers Stadium or turn around and drive back down the M40 to give Wycombe a much-needed cheer at home to Norwich. The more cultural may well stay in Walsall and take in a Van Gogh or a Picasso at the Walsall Art Gallery or the more cultural still might want to visit Banks's Brewery in Wolverhampton. If the game had gone ahead it may have done us more harm than good and another seven days will allow for some injuries to further heal. Norwich's postponed game is the week after next and I hope that our game can be rescheduled as quick.